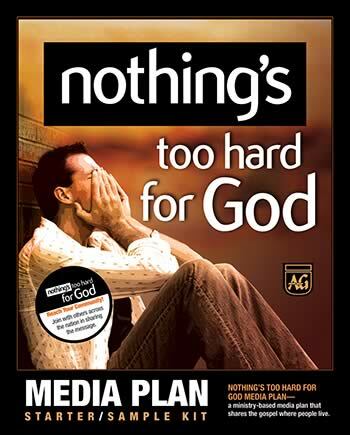 Here’s everything you need to preplan a Nothing’s Too Hard For God Media Plan. Begin by reading the Media Planner Guide that will walk you through the process, or simply pick and choose items to fit your church needs. Kit also includes samples of many printed items and a Promo DVD with samples of the broadcast ads and small group DVD. This item requires special processing. Delivery of this item cannot be rushed and may be delayed. For questions, please contact Customer Service.